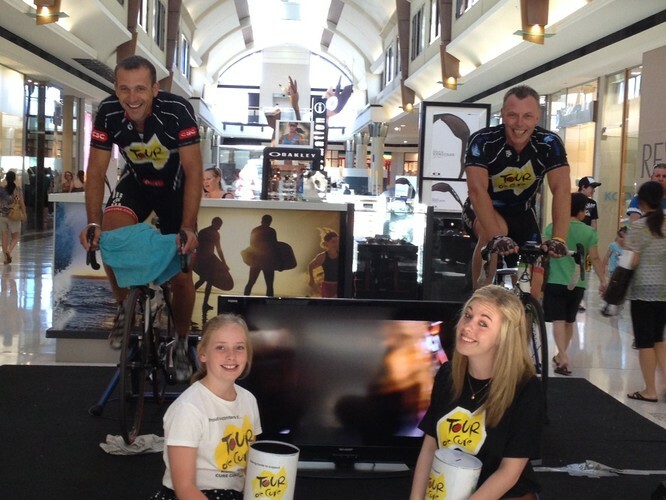 Tour de Cure will return to Garden City Shopping Centre on Saturday, March 16 and embark on a cycling challenge to raise money for cancer research. The event will be held in the Central Fashion Mall from 9am to 5pm with team members riding constantly across the day, hoping to cover a distance of 450km. Garden City Shopping Centre will be encouraging shoppers to dig deep and show their support for the riders by donating to the cause. The Coffee Club will also be supporting the event by donating 50c from each cup of coffee sold on the day to the Tour de Cure fund. In the past five years, Tour de Cure has funded more than 80 research, support and prevention projects. The Tour de Cure will also use funds to support projects aimed at education and prevention that monitors and modifies behaviours linked to cancer. To track the training program for Simon and his team or to donate to the Tour De Cure visit www.tourdecure.com.au and clink to donate button.